Michael Burawoy, "The Critical Turn to Public Sociology." 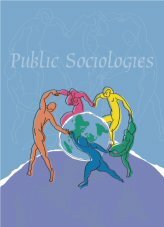 Stanley Aronowitiz, “Comments on Michael Burawoy's "The Critical Turn to Public Sociology." Rose Brewer, “Response to Michael Buroway's Commentary: "The Critical Turn to Public Sociology." Michael Burawoy "Rejoinder: Toward a Critical Public Sociology."